Although we have over 12, 000 PV modules in the database today, we are always searching for new modules. Manufacturers and consumers can contact us if they have modules that are not listed. The Principal Solar Institute ("the Institute"), an online reference center and resource guide for commercial and utility scale solar markets, acknowledges the growing influence of its PV Module Rating one year after introduction, has expanded its database and launched a new Manufacturer Ratings Table. PV modules already have a nameplate rating -- why is yet another rating needed? The nameplate rating on PV modules only indicates the power that may be produced at a single, standard test condition. The Principal Solar PV Module Rating uses a computational approach based on Lifetime Energy Production that allows side-by-side comparison of the long-term energy production over a realistic range of sunlight and temperatures. We have found examples where a module with higher nameplate power rating actually produces less energy than one with a lower rating. Since these new Ratings are based on energy production, should consumers simply choose the module with the highest rating? No, that’s not the meaning of the highest Rating. One way to use our Rating is to first get prices for several different models and manufacturers, and then compare the Rating for them. A pragmatic consumer would expect to pay more for modules that produce more energy. But if a module cost 25 percent more and has a rating that is only 10 percent larger, it’s necessary to try to understand what other benefits drive that added expense. If a module costs more but produces less energy, then that would really raise some questions. There are many good reasons to pay more for a module that has a lower rating. Warranty strength, brand reputation, delivery dates, installer experience and aesthetic considerations, such as thin film vs. crystalline, as reasons you might select a lower rated module over a higher rated one. You indicated that there are other ways to use the Rating. Can you share other use models with our readers? Sure. On an industrial scale the Ratings can be used in the due diligence process for assessing both existing and projects under development. Our sponsor, Principal Solar, Inc., is in the business of acquiring and operating utility scale solar projects, and we developed the Rating to support their financial analyses. Also, Solarize Frederic County used our Rating as a reference value in their request for proposal form. Since the Principal Solar Institute PV Module Rating clearly shows a range of values, how can you claim to be unbiased? Wouldn’t manufacturers with the highest ratings favor your system, and compromise your impartiality? A manufacturer offering a PV Module with a high Rating does not say anything about the cost to consumers. We are unbiased precisely because we leave cost out of our equation. Consumers can work their own deals for price and delivery. As with any purchase, a cost-benefit analysis is the deciding factor. How often do you add new PV modules to your database of Ratings? We update the database approximately monthly, adding modules at that time. Sometimes modules are discontinued, and we remove them from the main database. Although we have over 12, 000 PV modules in the database today, we are always searching for new modules. Manufacturers and consumers can contact us if they have modules that are not listed. How can you offer the Rating for free on your website? We are sponsored by Principal Solar, Inc., an independent power producer and distributed solar utility company. Additionally, we host live webinars and offer premium listings in our online Resource Guide to help defray expenses. Our Institute Members of solar professionals are leaders, buyers and decision makers that bring value to the entire solar industry. What other factors are important when selecting solar system components, and are there published standard configurations to aid the purchaser? First, it is important for consumers to recognize the differences between residential, commercial and utility-scale solar projects. When searching for calculators and modeling tools, be sure that the website is appropriate for the project. Next, understand the power requirements. Do you need to have storage, or is your goal to reduce the peak demand? These decisions will greatly impact your system cost. For residential solar, the available area and shading characteristics of the site will help match the panel choice to your requirements. Finally, make sure the inverter is matched to the array, in order to maximize reliability and energy yield. There are also trade-offs for shading and microinverter costs that may be important in some installations. What else does the Principal Solar Institute do for the industry? The Principal Solar Institute advances the solar profession by publishing insightful whitepapers, informative live/recorded webinars and an online resource guide of solar services and equipment. Everyone can access these valuable assets by registering on line for free. What is the current state of the U.S. solar industry? The Unites States installed over 4,700 MW of solar in 2013. That represents over $10 billion of new investment in solar energy. The industry now employs over 100,000 people. All of this is happening at a time when solar installations continue to fall in price, and during a time of declining policy support. We're just scratching the surface of the potential that solar represents for both the energy mix and for the investment landscape in this country. In spite of all the noise that surrounds the viability of solar, thousands of people and billions of dollars are hard to argue with. As component prices continue to fall and other aspects of the SunShot initiative help put downward pressure on racking, BOS, permitting and other components, I expect this solar growth trend will continue. 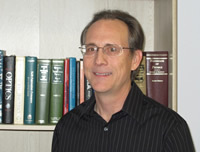 Matthew A. Thompson, Ph. D.
Matthew Thompson is a scientist with 23 years experience in semiconductor process development and yield enhancement at Motorola and at Freescale Semiconductor. At Motorola's Advanced Process Development Laboratory, he developed vertical gate oxidation processes and equipment. In a collaborative research and development project that included Motorola and IBM, he designed Synchrotron x-ray optics for deep submicron lithography, and supported x-ray mask design. The project culminated with a successful fabrication of fully functional memory chips using x-ray lithography. In another industry research project, Matthew worked with Motorola and Lucent Technologies to develop 200 mm mask manufacturing processes for a novel projection electron beam lithography technique. In addition to these advanced lithography research projects, he developed computer algorithms for Complimentary Phase Shift Masks, leading to volume manufacture of products with 50 nm gates using 248 nm imaging tools. At Freescale Semiconductor, he worked to improve profitability and performance by development and deployment of Design for Manufacturability methodology. Matthew holds six patents in areas such as electronic design processing, x-ray mirror design, and advanced e-beam lithography, and optical and photo mask design. Matthew earned a B.S. in Physics at Texas Tech University, and a Ph. D. in Physics at The University of Texas at Austin. His doctoral research on electronic and magnetic properties of ultra-thin crystalline films pre-dates the popular terminology: "nano-technology".